The first summer trend we’re going to explore is Classic Children’s Toys. This article is inspired by the Trend Watch Summer 2015 on the Etsy blog. Mine would be the 3 Little Pigs finger puppets. I always prefer old school children toys against technology these days, as I find that there’s a lot more potential to learn than just watching a screen. Nurturing children’s imagination at an early age is a very crucial part of growing healthy. I create many classic children stories finger puppets and one of them is the 3 Little Pigs and the big bad wolf. We’re going back to the importance of hard-work against minimal effort for instant result. Old Maid was (and still is) such a classic game for kids of every age! We grew up playing this game and now the grandchildren play it too! These cards are also being used today for artwork in children’s rooms & nurseries – great way to add playfulness and color as inexpensive wall art. Who doesn’t remember getting the McCall’s Magazine in your childhood household. Each issue had a Betsy McCall paper doll complete with a new wardrobe. Each doll and outfit was carefully cut out and glued to cardboard. These “paper” doll sets are created with fabric for long life. What’s more classic than rubber ducks?? I had a customer request an alphabet entirely made of rubber ducks. It’s a little different than my typical, abstract alphabets, but I love how colorful the letters are! I found these rainbow colored ducks and my 3 year old helped me “draw” letters with them. Such a fun way to decorate any kid’s room! We are getting excited for the first second annual Christmas In July Party! Since the CIJ team is worldwide we are going to hold a virtual #CIJParty right here on our blog! Friday – July 10th, 2015 – please join us here on the CIJ blog for classes and giveaways all day long! 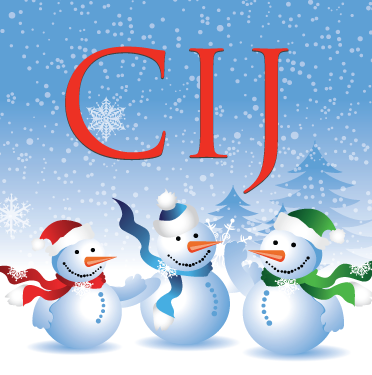 As a member of the CIJ team there are several ways for you to get involved today before the fun begins tomorrow. Please go to the CIJ forums and there is a thread that explains all the specifics! We want to include as many of our talented team members as possible! If you are not a member of the team please feel free to join the team today! Otherwise you will have to wait until tomorrow to see what we have planned! We’ll have virtual classes, discuss trends and so much more all day long. A schedule of the tutorials and special features will be available on Friday morning. There will also be swag bags for attending. Want a sneak peek of one of the guest blog articles? Amanda from AlphabetArtPrints is sharing her HolyJollyABCS! Thank you Amanda for participating! So mark your calendars, invite your friends, and get ready to get ready to party #CIJParty style! Teamwork is defined as being a cooperative or combined effort on the part of a group of persons acting together for a common cause. We wanted to know what our CIJ members say Teamwork means to them. Hmmm. Teamwork is obviously working together for a common goal but you have to determine what that common goal is and who’s working for the team and not just for themselves. Teamwork is helping each other without any thought of personal gain, but at the same time not sacrificing what makes you unique. Bringing your special skills to help your teammates, your peers. Giving advice and not picking fights. Although the cliché is that there’s “no I in team,” that’s not really true. Team leaders have to appreciate the I’s on their team and appreciate and properly use their talents to help the team. Not be a dictator. Understand their teammates’ unique qualities and work with them. Teamwork is having a sense of humor about what goes wrong, and being able to laugh at yourself and not take oneself too seriously. But it also means not ridiculing other members of the team and belittling them, their efforts, and their products. Teamwork means a group of people using their individual talents to achieve a common goal. Each person much use his/her own strengths not to shine above others, but to allow their goal to shine through. It’s lifting up your teammates when they struggle with a concept and accepting help when you yourself are struggling. It’s problem solving at its finest. It’s putting personal differences aside and working professionally even if you don’t enjoy working on a personal level. It’s chiming in when you have ideas on how to achieve goals. It’s listening and acknowledging others’ ideas when they share them. It’s understanding that the end goal is bigger than you and each individual. Teamwork means for me working equally on creating ideas, putting them into live and solve problems. Our shop is my teamwork with my husband. We share our ideas, discuss what would be better, what kind of material can we use, what kind of design, sometimes he starts an artwork and I finish, sometimes he gives an idea and I turn it into something new. We work shoulder to shoulder and it is nice, because it shows our talents, it makes us joy and helps know better each other. I always loved to work alone, but just know I know how much fun it is to share my happiness and also problems with someone! Teamwork is a group of people working toward a similar end goal. A team will support each other, lean on each other and work with each other. Sometimes a team member may fall behind or fall out due to unforseen complications or struggle. But, as a team that works well together, the other members will help pick up that slack to ensure the end goal is still met and in a timely manner. A team member is willing to call out someone who isn’t putting forth their level of effort, and in reciprocal a team member can receive constructive criticism and learn from it and push forward. This doesn’t mean being rude, rather find out if maybe that member is struggle because they don’t know how to do something, etc and are too afraid to speak up. So bringing this to light, means the rest of the members can help. A team isn’t always perfect, and things will happen every now and then to cause conflict or concern. But, a good team can work through these issues and come out at the end with a smile on their face and approval and satisfaction of a job well done. I think Teamwork is what happens when a group of people are working towards a goal. I believe if you get into something, you should follow-up to the best of your ability. Stuff happens, but teamwork means someone else can help lighten the load of another. I think teamwork is being able to bat ideas off one another to come up with some idea even better than the original. I think teamwork is something we do for most of our lives, in many different settings. I think teamwork is putting aside differences and getting the goal met. Teamwork is part of what we do every day at Christmas in July Team and I think we wear it well, don’t you?